‘YES’ it is worth doing an initial business case and requirements capture (Step 1). ‘YES’ the initial business case and requirements capture merit further examination — move to complete requirements capture (Step 2). ‘YES’ the detailed business case is compelling (Step 3). ‘YES’ the high-level design is feasible (Step 4) and so on. At the end of each stage a plan and budget is set out for the next stage and it is on this basis that a decision will be made as to whether the project will progress further. 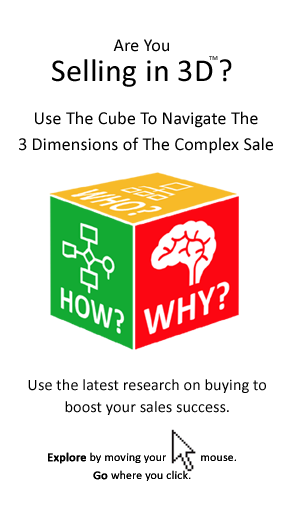 The incremental nature of the buying decision complicates things greatly for the seller. It means that one YES is not enough and that the ‘sure thing’ sale can be derailed at any stage. In respect of the complex sale there are no quick wins as the purchase decision is made one step at a time. The implication is that neither the buyer, nor the salesperson can skip a step. The buying process entails a step-wise progression in terms of commitment until the point where the ultimate spend decision must be sanctioned. For sellers this step-wise process of commitment has profound implications. The seller must understand the degree of commitment that is possible at any stage of the buying process. It means that the ‘Always Be Closing’ mantra does not fit the complex sale. 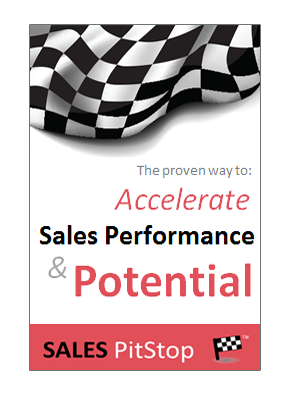 The salesperson’s objective should be to progress to the next stage, rather than to close the sale. The reality is for every project that successfully navigates the buying process, many more will not. As increasing rigor is applied at each successive stage, more projects will be ‘killed off’. In an organizational context, it is the application of the Darwinian principle — the means by which budget-strapped organizations seek to ensure the optimal allocation of resources between competing projects. This is important for the seller who often narrowly views another supplier as the only source of competition. The reality of modern buying is that another competing project represents the greatest threat to winning the purchase order.